01/April/2019 GIVI Asia celebrates its 25th anniversary! 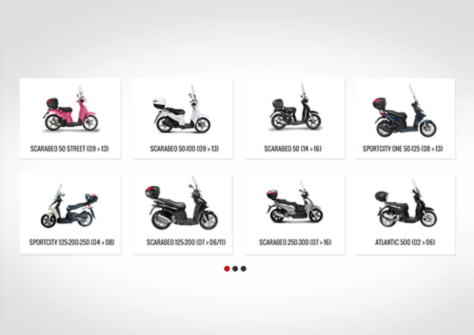 25/February/2019 The new GIVI site is now online! Discover the GIVI accessories that best suit your taste and your needs! Do you want to get the best out of your bike with GIVI products? Find the dealer nearest you! 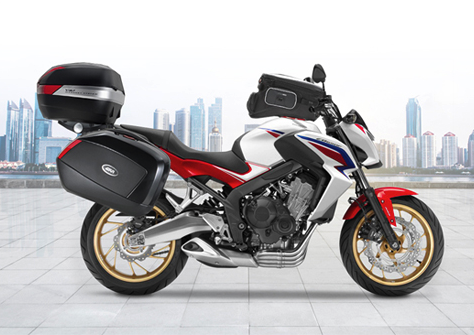 Would you like to fit out your motorbike with Givi's accessories? which will be perfect for you and your requirements! Thank you. We have sent you a seperate email containing your password details. In 2018 GIVI celebrated the fortieth anniversary of the foundation of the brand, and it has been a year full of events that have marked the achievement of some important goals for the company. One crucial moment for the Brescian manufacturer of motorcycle accessories was its participation at the 76th edition of the International Cycle, Motorcycle and Accessories Show, held last November at Milan Rho’s exhibition centre. EICMA, a fixed date on the GIVI calendar for many years, provided the occasion to present all the company’s new projects, Hard Bags, Soft Bags and accessories, to motorcycle enthusiasts, as well as involve the riders of the Moto GP in the events promoted by the brand, with a restyled stand that left everyone in awe! November was also the month of the Explorer Tour, which saw an intrepid group of motorcyclists venture into the desert of Morocco. A breath-taking journey guided by the spirit of adventure, heedless of the extreme weather and environmental conditions. The ideal scenario for testing the great resistance of the motorcycle accessories in the Givi brand. During the year, two gala dinners were also held and involved Givi’s main Italian and International partners. Two evenings dedicated to sharing, with plenty of guests and supporters, and from which it emerged just how much the brand is perceived as a “Love Brand” both by consumers and dealers alike. Lastly, 2018 also saw the extension of the showroom at the main headquarters in Brescia and the creation of the “Givi Academy”, a conference room dedicated to product demonstrations and training. An investment that was strongly desired by the owner of the brand who wishes to always offer more to customers and firmly believes in celebrating the passion for two-wheels.